O-Works Red 2-Ball Fang Putter is a mallet design with perimeter-weighted fangs, Microhinge Insert, and a clean, classic red finish. 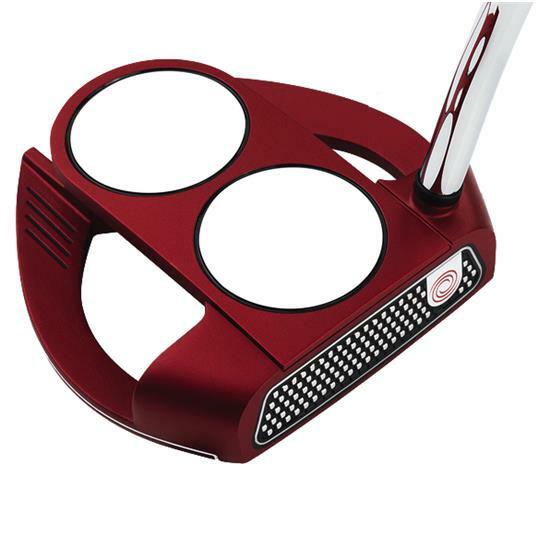 You are about to post a review for Odyssey Golf O-Works Red 2-Ball Fang Putter based on your knowledge of its playability. This review will show up under all variations of Odyssey Golf O-Works Red 2-Ball Fang Putter, including new, personalized, and custom logo.